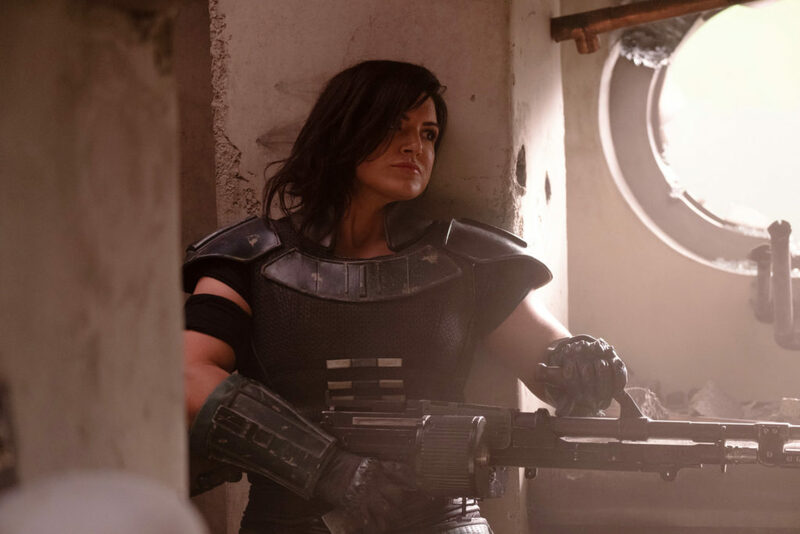 Other tidbits revealed during the panel include the fact that "The Mandalorian's" ship is called the Razorquest, and that several shots for the show were created using motion control cameras. Cara Dune was also described as a former Rebel shock trooper and Greef as the had of a guild of bounty hunters. Footage from the series was also show. First was a behind the scenes reel featuring interviews with Filoni, Favreau, Pascal, and Carano, as well as episodic directors Deborah Chow and Rick Fumiyawa. Then at the end of the panel, an extended sequence was shown, featuring The Mandalorian meeting with Greef n a Cantina, who puts him in touch with someone who has a bounty that has no paper trailer (or the Star Wars equivalent of one). The Mando agrees to go and meet with this person, and leaves he Cantina, and walks the street of a market until he arrives at his destination. There he meets with a character played by Werner Herzog, who is surrounded by stormtroopers. There is an intense stand off that concludes with The Mando sitting down to talk with Herzog. Herzog tells the Mando he wants someone, preferably alive but will still pay (albeit less) for dead. A doctor, played by Omid Abtahi enters and protests the idea of the bounty being brought back dead however Herzog is unphased and offers to pay The Mando with beskar (a metal substance of great significance to Mandalorian culture). This was followed up by a montage of imagery, all of it very chaotic, which was narrated by Herzog (who questions whether a world is really better after a revolution, and sings the praises of the Empire. Remember, he's playing a bad guy). In this we see lots of action, including IG-88 firing a couple of shots, and someone punching out a a stormtrooper, shattering the front of his helmet. 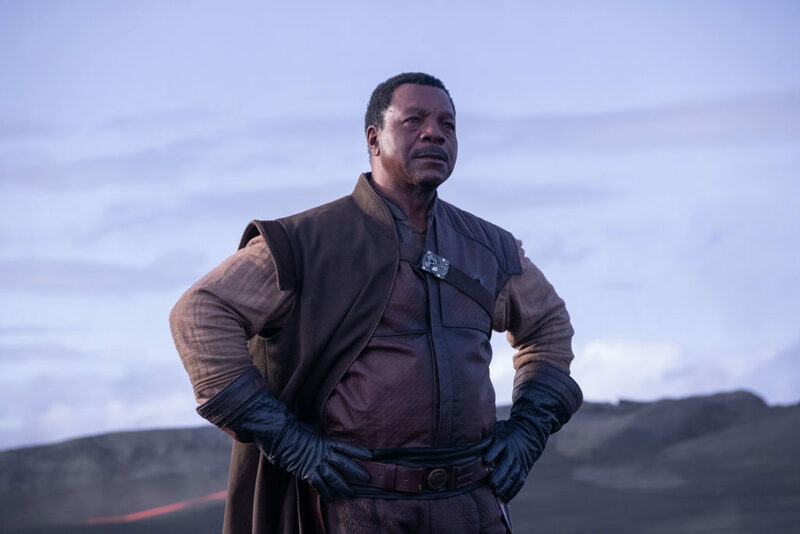 It also gives us our first look at Giancarlo Esposito's character, an Imperial who is seen giving a command to burn a village and then later at the controls of a TE Fighter. 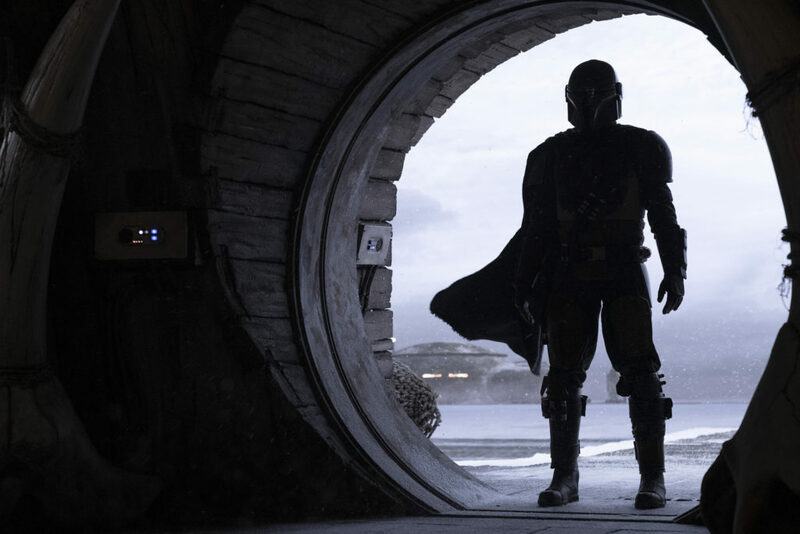 The Mandalorian launches on Disney+ on November 12th.